As many of you know, my sister was in the ICU. Im sorry i havent been on, please message me for info/anything else. This is true, and well, I support gay bros.
Bro, support your fellow bros. If you like them or not, let them be them. And girls, this goes for guys too. 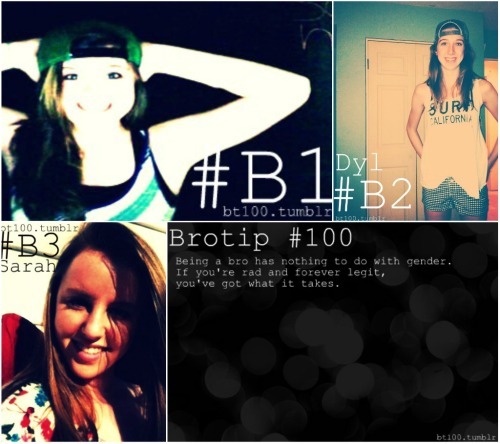 Dont rag on lesbian bros.
Because it leaves more dudes for you.